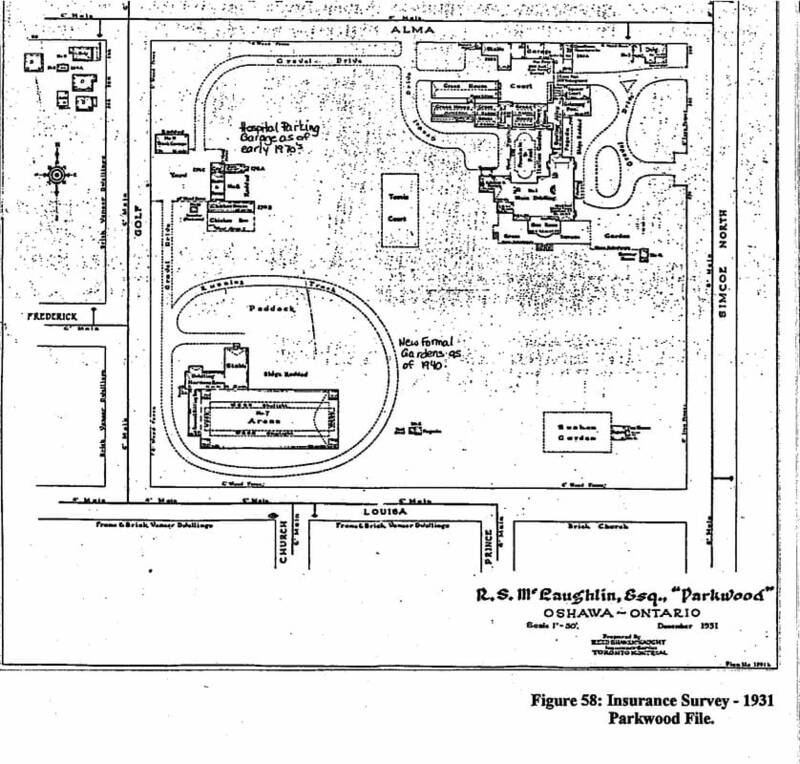 1931 Survey of Parkwood Estate, Including the Stables. ​Parkwood Estate National Historic Site Archives. This is referencing photos at the Ontario Archives re:Parkwood. The 1919 aerial photos show no stables, arena etc on the property, the 1926 photos do. (Parkwood NHS Archives does not have these photos) Write up from the May 1929 issue of Canadian Home and Gardens. Horses at Play at Parkwood Stables, cont'd. 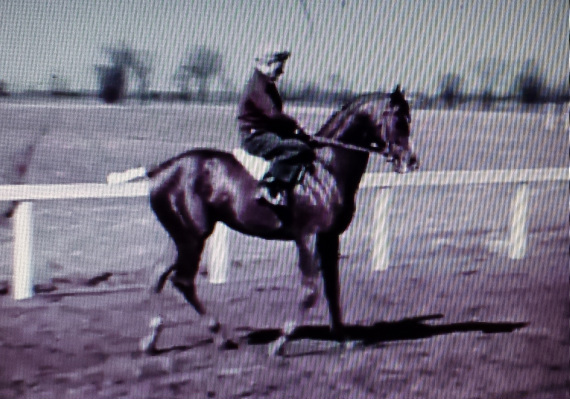 Prior to the Taylor success with the stud farm, the property was Parkwood Farm, where RS McLaughlin housed both equestrian horses, hunters and jumpers, and later racing thoroughbreds. In 1934, R.S. 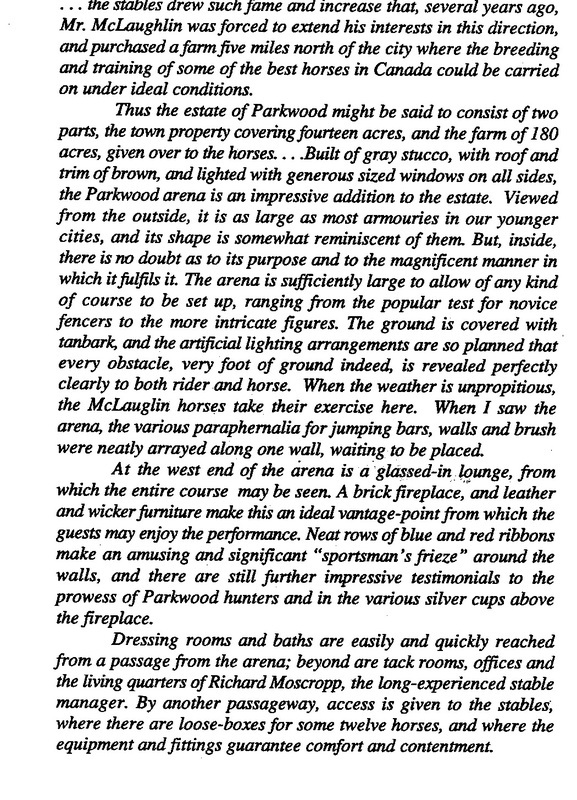 McLaughlin had a book, 'Parkwood Hunters on Tanbark and Turf', created for his daughters to commemorate the horse culture of Parkwood. The book was written by T.R.Elliott. The Stable. this barn will later be referenced as 'Barn 2' during E.P. Taylor's ownership of the property. 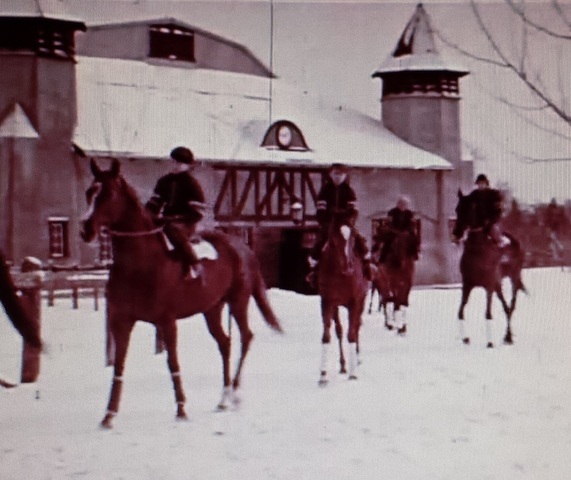 Parkwood Stables, Photo courtesy of Parkwood NHS Archives. 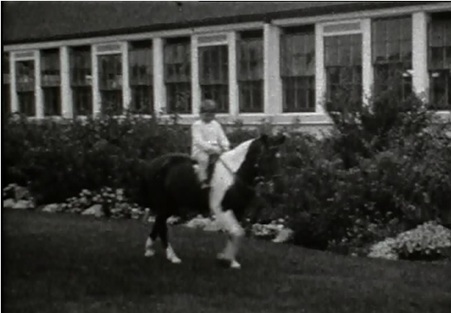 The stables, Photo taken from from Canadian Homes and Garden May 1929, courtesy of Parkwood NHS Archives. Tack room, Photo taken from from Canadian Homes and Garden May 1929, courtesy of Parkwood NHS Archives. Horse Arena, Photo taken from from Canadian Homes and Garden May 1929, courtesy of Parkwood NHS Archives.